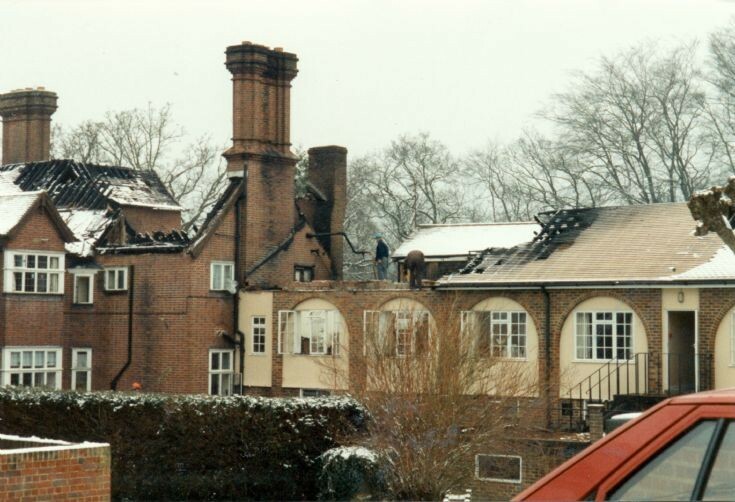 The fire took place on 21st February 1994, but while the repairs were being carried out a careless workman and his blowtorch caused another fire on 9th February 1995. See picture #1858. In the centre of the picture two workmen, or perhaps insurance assessors, are standing precariously on the roof. A further three photographs can be seen by selecting Open Document. Two men inspecting the damage can be seen in the centre of the first photograph.